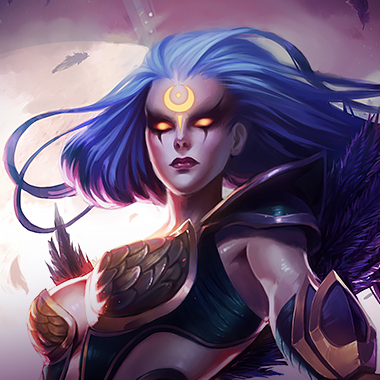 Diana is played as a mid laner and a jungler. Diana is a melee AP assassin with a surprising amount of tankiness, given her usual itemization and her shield (that can become pretty massive, as far as assassins go). As such, she is an absolute monster if you’re playing in the back line, and will likely be able to destroy you with a single combo. She also has a fair amount of disruption, as if her damage and survivability weren’t high enough. Coupled with another champion who likes to dive, you may end up having a very bad time. Diana gains attack speed. Additionally, every third strike does additional damage and cleaves. 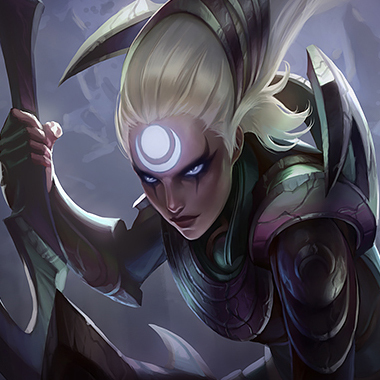 Diana throws a curved skillshot, marking any enemy champions hit. Diana shields herself and creates 3 orbs that orbit her. If all 3 orbs are depleted by coming into contact with an enemy, she will refresh her shield. Diana pulls all enemies within the area of effect to her. Diana dives at an enemy from long range. If that enemy has been marked by Crescent Strike, Lunar Rush has no cooldown. Dodging Crescent Slash is crucial, and will harshly lower her damage output. My personal favorite way is moving toward her when she casts, causing the ability to harmlessly arc around you. Her shield only lasts for a short time. Wait until it's on cooldown and then harass her without fear of wasting mana. Her damage output at level 6 is incredibly high. If you get caught with a Crescent Slash, prepare to fight. 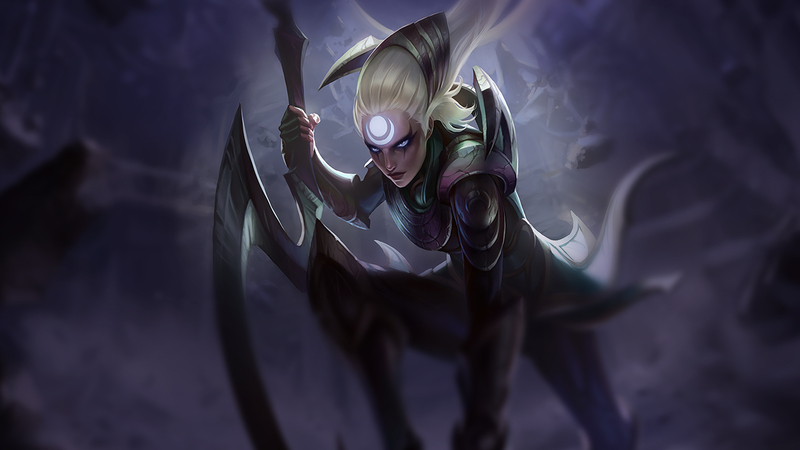 Diana will naturally push the lane on account of her passive and her Crescent Slash. Try to freeze the lane as close to your turret as possible to prevent her from getting free damage with her combo. He just about counters everyone at the moment. He has insanely high survivability thanks to his natural sustain and ability to build very tanky without sacrificing much damage. You have two options in this matchup: let her push, or push her into the turret. The latter opens you up to heavy harassment, but also will allow you to roam freely. 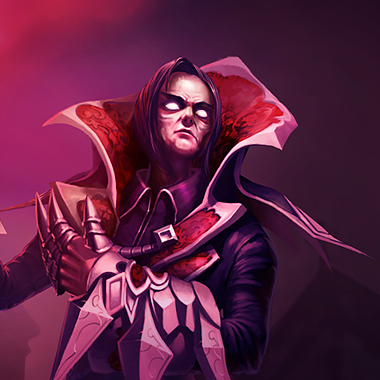 The former simply makes sure you're in no danger whatsoever until it's time to team fight. Like Vlad, he counters a lot of people at the moment. 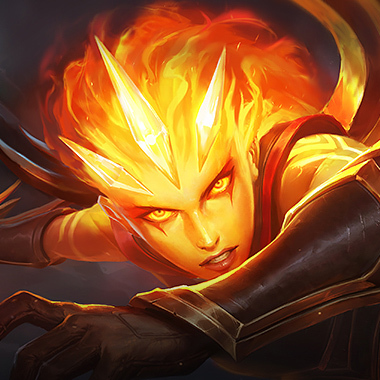 This is actually one of the better matchups for him, as she can't get close enough to do significant damage until level 6, and since you'll hit if at the same time you can just turn on your ult and sit on her with no fear of losing. 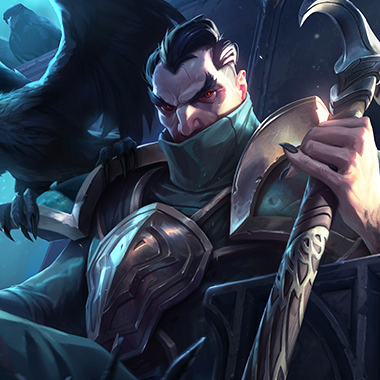 I highly recommend Swain if you can get him. The ultimate close combat mage. 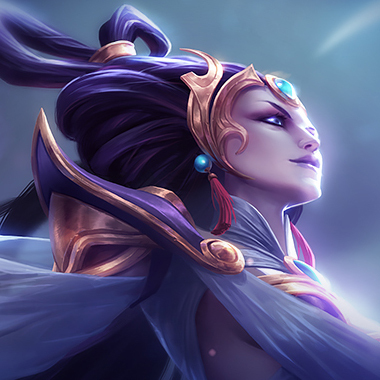 Diana has to dive you to win, so picking Ryze is a natural thought. Not only do you scale better into the late game, you also have a very strong laning phase against melee champions. If she decides to go in on you, ask you have to do is pop your ultimate and go to tow, she has very, very slim chances of beating you. My favorite pocket pick against Diana. He's a huge tank with ridiculously high base damages, there is no point in the game where you should fear a Diana. 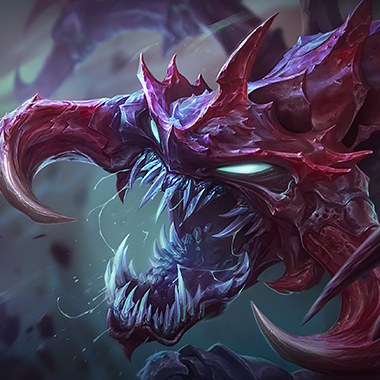 What's more, since you're Cho'Gath you're able to harass very hard and bully her out of lane, so long as you can land skill shots. Apart from these 4, there's several champions that do well: Malzahar, Karma, Zed, even pocket picks such as Sion. Most of these things have one thing in common: CC. If you're able to lock her down, which shouldn't be entirely too difficult seeing as she's melee, you'll be in great shape. 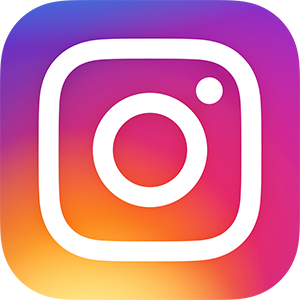 There are a few items that you can rush that will do a lot of work here. Rod of Ages tends to be my go-to, especially since it's broken beyond all belief right now. Another great item is Void Staff for both offensive and defensive purposes. A bit further into the game, a Zhonya’s Hourglass will never be a bad choice. The big outlier here is Vlad. 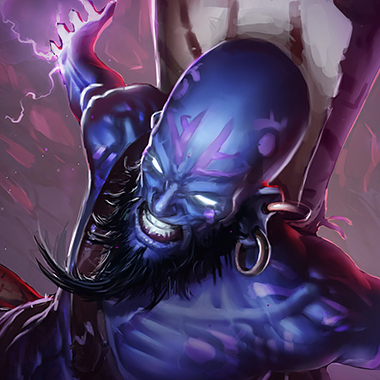 Rush Spirit Visage, there is no alternative. The huge magic resists along with the health and added regeneration will do work all game long.